More than 3,000 attendees arrived on Jan. 9 at the Long Beach Convention Center for the kickoff day of Empower 2018. Empower is the premier conference and largest networking event for the enterprise content management (ECM) industry. Empower is a chance for customers to come together to share the ideas and solutions that drive change for their organization. “Be A Visionary” is the theme for Empower for 2018. 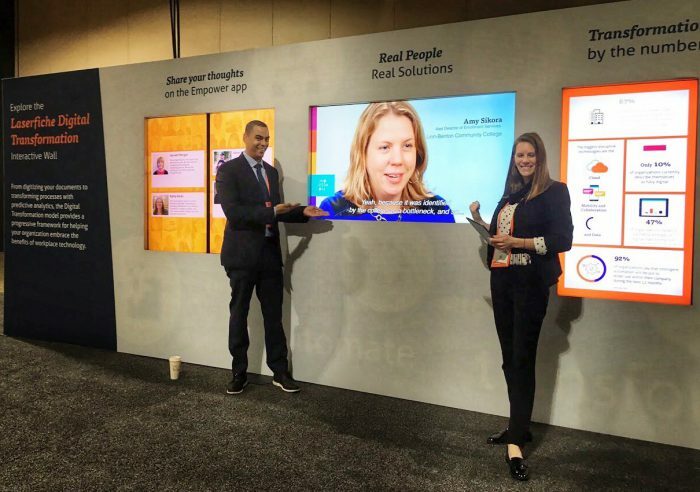 The resources at the conference are designed to empower customers to be visionaries – driving change and transforming the office into a digital workplace. The Empower experience is intended to lay the groundwork for each stage on the digital transformation journey. 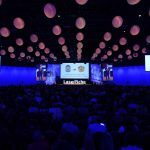 The conference comprises three and a half days packed full of educational information and best practices for using Laserfiche. 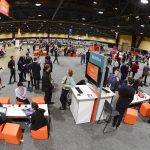 There are more than 250 presentations, labs and social events for attendees. Conference registration began bright and early on Tuesday. If you’re arriving tomorrow or later in the week, be sure to check-in with registration to receive a lanyard, program and Empower vest. Laserfiche employees helped attendees configure their laptops, get connected to WiFi and download the official Empower app. There were three Class Sessions in the afternoon with a wide range of courses to choose from. Below, we highlight several session tracks to help attendees select the schedule that’s best suited for your industry, company size or job role. Laserfiche experts present on the wide range of features available in the product suite in this track. Class teachers put together highly informative presentations aimed to help customers at all experience levels build their knowledge and skills. The seven main topic categories are Core features, Administration, Forms, Quick Fields, Developer, Workflow and Security. As always, we recommend pre-registering for interactive Labs, for example, “Workflow 203: Best Practices Part 2” and “Security 101: Getting Started Auditing Your Repository.” Expert instructors offer practical guidance in these hands-on sessions – each attendee will have their own computer workstation with Laserfiche installed. This is the ideal opportunity to practice newly acquired skills and uncover advanced functionality within Laserfiche — highly trained instructors are available as a guide. The classes within the Organizational Leadership track are designed to help customers drive transformation at every level of their organization. Top industry experts share leadership strategies and solutions for the leading concerns of modern professionals. These courses will allow you to enhance your business acumen and gain insights into department-specific business processes. Additional topics include emotional intelligence, managing institutional change and leading an effective meeting. 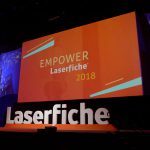 Take a deep dive into how other Laserfiche users have developed and refined implementations that have helped their organizations reach their mission-critical goals. Customers will share lessons they have learned from their experiences and results they’ve achieved. These case studies will serve as inspiration for creating innovative, results-oriented solutions. 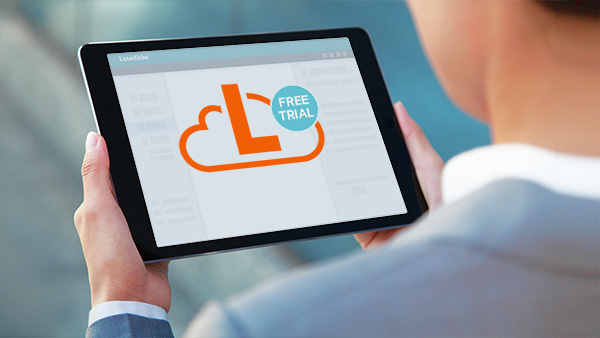 You’ll get the opportunity to ask specific questions from these inspiring Laserfiche users. These classes will showcase the case studies from Run Smarter award winners. The next three days of Empower will be even more eventful! We’ll be posting a daily recap with details on the general sessions, special event and Run Smarter Awards. If you aren’t attending Empower this year, be sure to watch our Facebook Live broadcast from Empower Day 1.